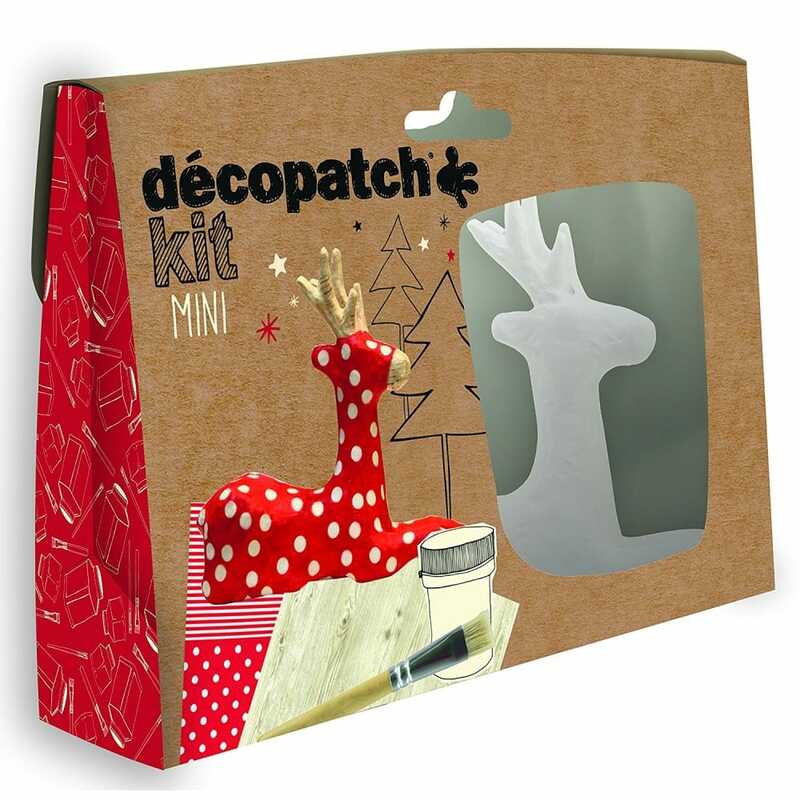 The Decopatch mache mini kit has all the items you require to Decopatch your mini kit. The kit contains 2 full size sheets of Decopatch paper (30x40cm), a small pot of glue, brush and the mache item. This mini kit allows you to Decopatch the item so it makes the images on the box or to create your own masterpiece. The mini kits contains more than enough paper and glue for you to cover the mache item with only one of the sheets if you wish. These mini kits are ideal for children or those who are wanting to try Decopatch for the first time.